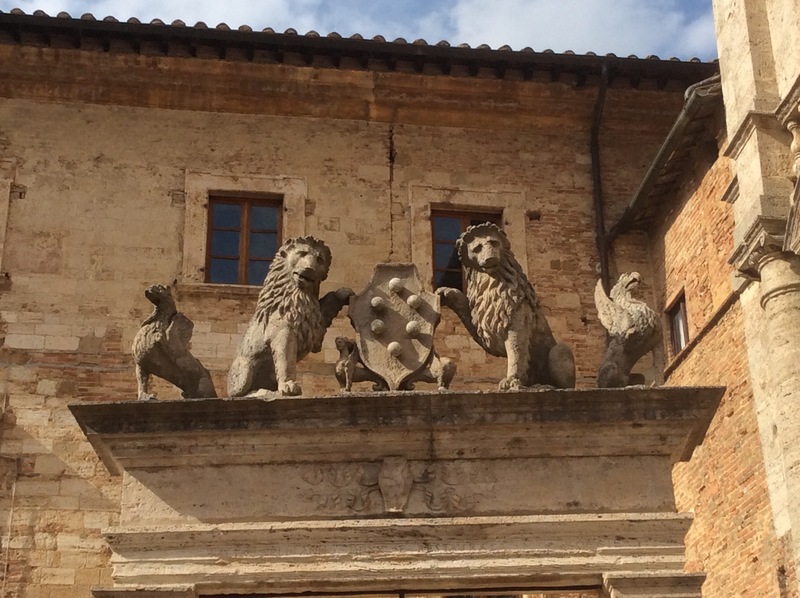 The first time we visited Montepulciano was with our two daughters, then aged four and ten. It was a long time ago in the days of cars with no air-con or satnavs. We didn’t even have mobile phones or the Internet. 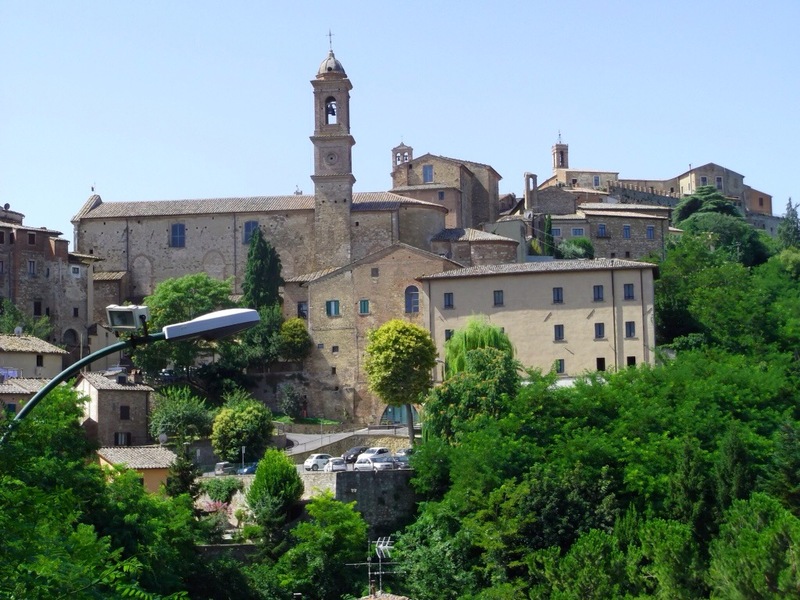 We have never actually stayed in Montepulciano preferring the less commercialised and quieter hilltop towns of Umbria near to Lago Trasimeno. 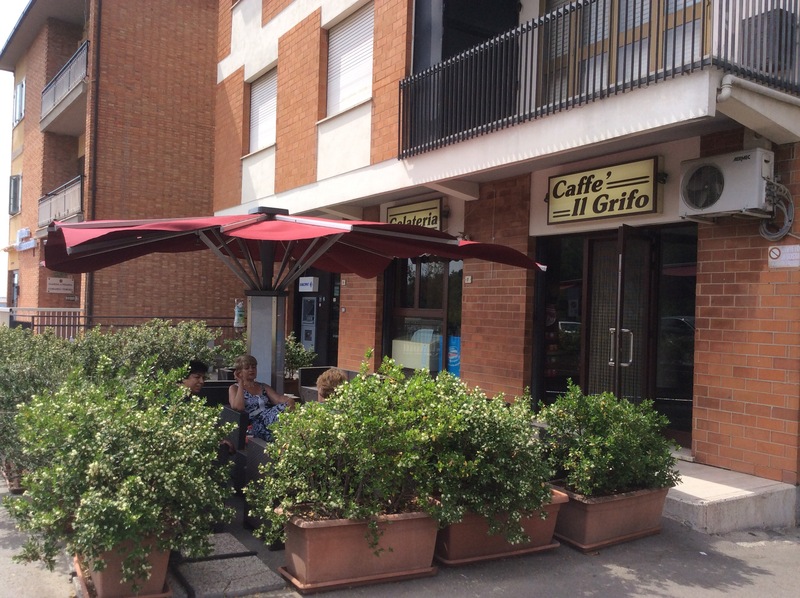 But now, living just a forty minute drive away in Castel Rigone, we love to visit the town just for an afternoon or for a meal in the evening. Our daughters are now mothers themselves and recently we took our little granddaughter (then aged two) to Montepulciano for the first time. We prefer to arrive around 3 0’Clock or 4 O’Clock, late afternoon from June to October when the sun is lower in the sky and the streets shaded. We have never tried pushing a pram or a pushchair but it is not a difficult place to navigate, the Main Street climbs gently uphill but, if you want to explore the side streets then there are lots of steps and cobbles to cope with. It’s my experience that tiny children just love climbing steps and this was definitely the case with our Granddaughter last year. She found the little cobbled streets with their many steps and archways as compelling and addictive as swings and roundabouts would be at a fairground!! Half way up the Main Street is the Torre di Pulcinella (newly painted) with a clown who strikes a bell on the hour and half hour. An obvious attraction! Near to this is a bar so you can sit and have a drink while waiting for this very brief but magical moment to happen. 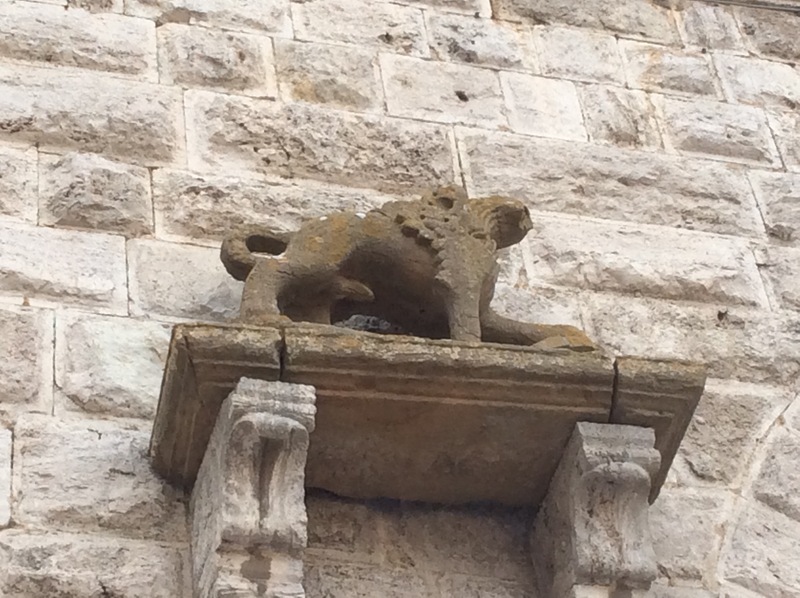 Kids love animals and plants and so another attraction would be the Palazzo Bucelli in Via Gracciamo where they will find a selection of medieval plaques and some Etruscan urns carved with lots of creatures. For a two year old the underground Etruscan city with its maturing barrels of wine didn’t hold any attraction except for all the steps! But older children of four upwards are usually entranced by these meandering caves and really enjoy tasting the cheeses and honey and bread and oil. We always played games with our kids when sightseeing. It kept them interested and motivated plus they learned a lot which was a bonus! The eldest loved to keep a Travel Journal. In it was stuck reminders of our days out like sugar packets and bills from bars and restaurants and postcards. She would record how long it took us to get there and what she liked and favourite buildings etc. We played I Spy kind of games and Montepulciano is good for this. Try asking them to look for animal or plant carvings. There are lots! Why not have a competition to see who can find the next Water Tap or the next blocked n archway or window or the next Ape Van! They can also be given puzzles dependent on age. For example, ‘What do they notice about the number of stones round a window or door? Is there a common number pattern? Why?! Of course they will realise that the number of stones is always odd because each arch has a central stone at the top. Once you have meandered up to the top piazza they will want to go up this tower. 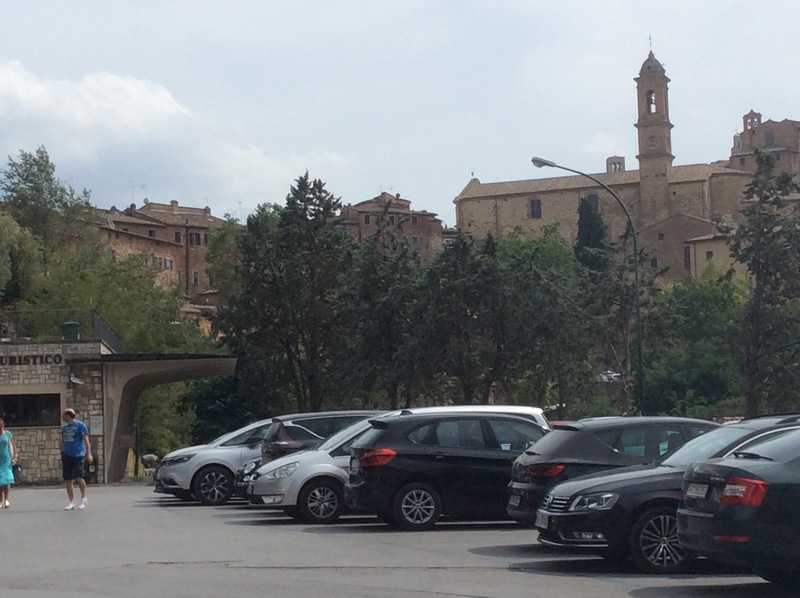 Enjoy your visit to Montepulciano!